A festival win for Galway angler Cathal Hughes with 144lbs 11oz! Another great four days of festival fishing in the Clones/Ballybay area. 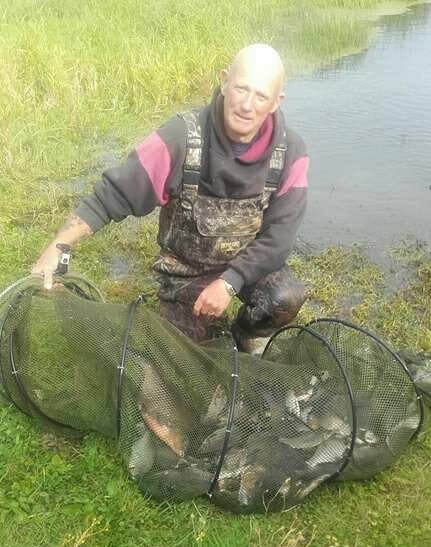 The fishing didn't disappoint those who had made the journey over from England to take part who had the chance of roach, bream and tench on any peg. Annaghmekerrig fished particularly well, the bream didn't show in any quantity unlike 2016, but there were some superb roach catches with 59lbs for Cathal Hughes on day one through to David Herron's 35lbs on the final day when peg one also produced a lovely net of skimmers for Tom Marshall. Mullanary threw up good weights for some and Bairds Shore provided for the usual mixed bags. Bream Rock suffered from pike and weed interference but still produced some good weights including 64lbs for Barry Smith which catapulted him into second position on the final day.